When a certain service or good becomes an essential part of our everyday life, we tend to find ways to simplify the production process. The change in the complexity of the creation process is something that we all benefit from. Especially end-users since now they can find more cheap and effective ways to satisfy their needs on the market. At this moment, the production of a website is evolving in the same way. Currently, you can produce a website by yourself. All you need to do is find the right website builder. In the past, in order to produce a quality website, you would need to have a coding skill, understand the principles of design and know how to manage and upload content. The struggle for a quality online presence was real. People especially business owners had to constantly juggle between cost, quality, and design. Fortunately, today you can have it all. Today, you can simply make your own website all by yourself with just a few clicks. Yes, it got that easier. If you are still skeptical about website builders, then we can help you change your mind. 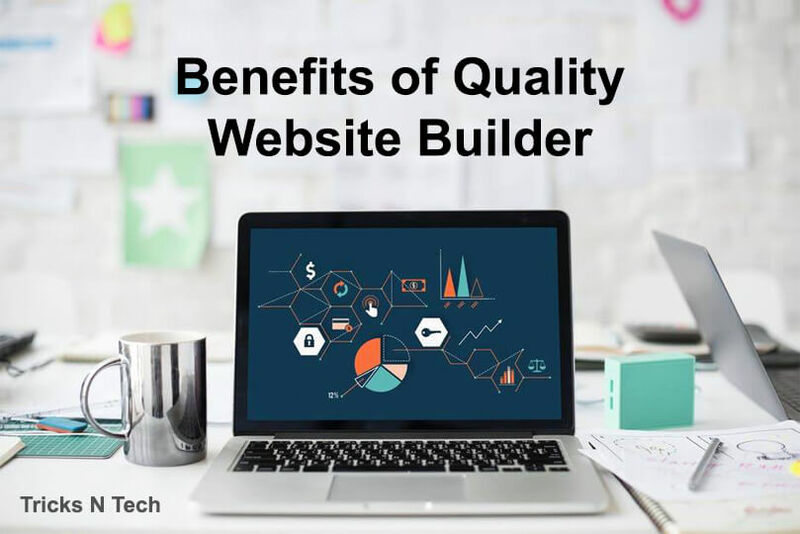 Find the benefits of using quality website builder below. Website builders are a one-stop solution. You can be sure that as a site creator, you will be offered everything you need for creating a website from each website builder. You will get help with the following processes: selecting the best domain, graphic design solutions, and even maintenance when you decide to add a few extra elements later. Usually, most of the website builders have user-centric setup process that will guide you through every step. You only have to worry about the personal branding elements. With a quality website builder, you don’t have to worry about anything. All of the design and coding stuff will be covered by the platform. All you need to do is prepare a content strategy and implement it. This means that you will have extra time to produce quality content and focus on marketing activities which will ultimately affect conversions and profits. Are you worried about how your social media channels will be incorporated into the website? With the current versions of the available website builders, that problem is solved, too. The positioning of the social media buttons is fully customizable. You can place social media buttons at the bottom of your page, add a sharing button below any content piece you think it should get more engagement and even track the performance. You can optimize your company fully with social media and marketing elements, which is very important nowadays for personal and business success. Website builders offer drag and drop solution for the purpose of designing your website. This way, you can easily move and manage any block and element in your future website. All you have to do is pick the right template and reshape every image and block in order to fit your style. You will make the job of your web designer so much easier, the only thing they will have to do is design the look and the feel of the other elements according to the provided templates. This is not obligatory of course, you can also manage all of the details by yourself if you have the experience and the time to do so. Professional website design is sometimes a good investment if you are planning to launch your website according to the latest technology trends. However, a website builder can help you create your site even if you don’t have the budget to invest in a graphic and web designer. If you are launching multiple websites then a website builder is a perfect solution for you. Low costs, solid design, and customization are what you will get with online web design platforms. All you have to do is conduct a research and find what type of platform is the best support solution for your personal web design needs. Once you decide to make your own website or hire a web designer, you should understand that it is quite time-consuming. Even if you hire a professional to work for you, there will be setbacks that will prolong the launching date. For instance, a web designer has to spend hours coding and has to provide a quality assurance for the product, which sometimes is not even possible. Fortunately, with a builder, your website will be optimized immediately. You don’t have to worry how your website will look on various resolution and devices since this will be settled directly from the platform. With a quality website builder, you can improve the appearance on your website in just a few minutes. With a professional web designer, you would have to wait just to get a certain object removed or added from the homepage. You can easily manage and add landing pages, create opt-in forms and optimize all of your marketing efforts, fast and easy. Sometimes a/b testing is necessary for better marketing results and you can do this by following the behavior of your online visitors and reshaping the website immediately according to their needs. Web builders are simplified and yet effective tools of developing a website. It lets you have a full control design and cost control over your projects. It is a perfect solution for an entrepreneur, influencer, and a blogger. Anyone on the market can use the benefits that online platforms offer. Sometimes, even the best web designs you have seen on the world wide web are created on a builder. If you want to get inspired for your future projects, you can easily find amazing examples that look beautiful and are effective on the internet. Having a great online presence is not only about the front-end elements, it also involves more things in the back that needs to be optimized in order to get the best solution for your needs. Web builders can definitely help you get the best design for your money.